After discovering just how filled with magic, intrigue, and adventure the parahuman world of being an Undead American can be, Fredrick Frankford Fletcher did exactly what was expected-he became a certified parahuman accountant. 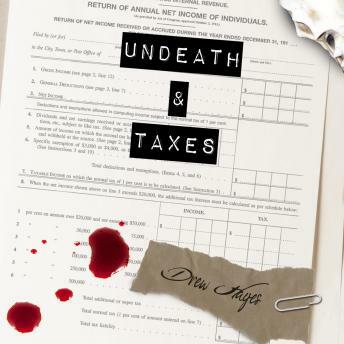 Myths and legends, as it turns out, are not so great at taking appropriate deductions and keeping their receipts, and Fred is more than happy to return to a life others view as woefully dull, expanding his accounting business to cater to various monsters and their respective financial needs. Said monsters are, unfortunately, still spectacular at pulling Fred into trouble, though. And despite merely wanting to stick with simple paperwork, Fred once again finds that he is going to have to deal with enchanted weaponry, government agents, possessed houses, and one enigmatic dragon's interest. In the parahuman world, any business can turn deadly, even one as mundane as accounting.